Terrence Walker, University Counseling Services administrative assistant for MCV, meets with students to discuss issues affecting their student success. 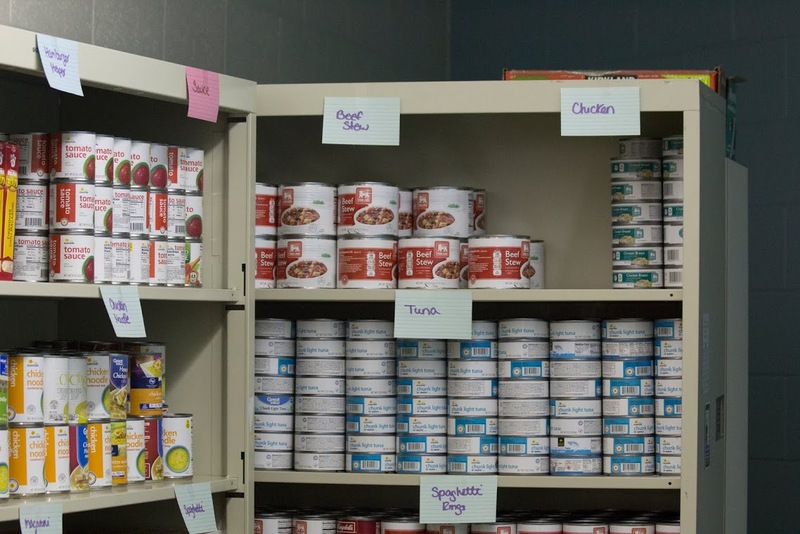 An often overlooked obstacle, food insecurity, is an issue many students face on a daily basis, and, before last year, VCU had no outlet in place for students with food insecurity to receive assistance. The Rampantry is located on the first floor of the University Student Commons in room 121. After meeting with students about the problem of food insecurity, Walker decided to become proactive in ensuring food security here at VCU by assisting in the creation of Rampantry, a student-run organization which exists to ensure food security by providing the VCU community with healthy, culturally appropriate emergency food. Originally opened in the Baptist Campus Ministry in January of 2014, the Pantry was recently relocated to the University Student Commons and serves anywhere between 30 to 100 students in a typical week, stocking their pantries with starch, proteins, produce and other emergency food. According to Feeding America, an organization that studies food insecurity in America, one in six Americans are food insecure, meaning they lack reliable access to a sufficient quantity of affordable, nutritious food. Among that statistic are VCU students, who discussed this issue with Walker, leading him to create a survey for the student body regarding food security. The results of this survey showed an alarming need for food security among the student body, which led to the creation of the Rampantry. Over a year later, VCU’s Rampantry has had over 1,800 visits. “The support for the organization has been amazing. We basically started a non-profit from the ground up, and it has flourished since it was created last year,” said Walker. Rampantry partners with a variety of businesses and donors to ensure that their food supply is maintained. Local businesses such as Food Lion, which donates between 70 to 80 percent of the food for Rampantry, are the reason that the service is completely free of cost to students in need. 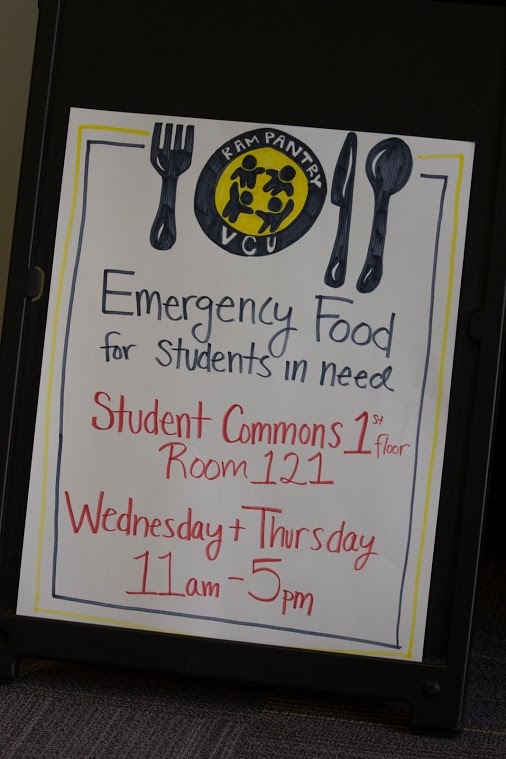 While the Pantry is currently marketed to students, anyone with a VCU ID is able to receive food from the Pantry. Come in with a VCU ID, come out with five canned items and supplements such as bread, produce and spices, enough to supplement a week’s diet. According to Holly Whitt, vice president of Rampantry, the Pantry is only an emergency measure for students who lack food security. The organization is looking to adopt ideas such as workshops, food stamps and a community garden to ensure food security for the VCU community. Students who visit Rampantry are allowed five canned items, not including produce or hygiene items. Students can choose a variety of items, including tuna, spaghetti rings, and beef stew, as pictured here. Students can visit Rampantry once a week during their open hours on Wednesday and Thursday from 11 a.m.- 5 p.m. The new location in the University Student Commons can be reached by the Floyd Ave entrance of the Commons, through the hallway adjacent to the Commons Theater. Community support for Rampantry by organizations such as Food Lion, Panera, Shalom Farms, VCU SGA, The Pace Center as well as community residents and students, has drastically increased in the past year, and according to Whitt, the organization has received nothing but praise. Sophomore Nicole Marshall volunteers at the Rampantry through her service learning class. Though just starting the Pantry, Marshall says she is happy to be part of such a great organization. Rampantry is an entirely student run organization, which means they are always looking for students to contribute. For those looking to volunteer, the organization has a need for students not only working in the Pantry itself, but also completing essential functions of the organization such as running social media, putting on food drives and more.